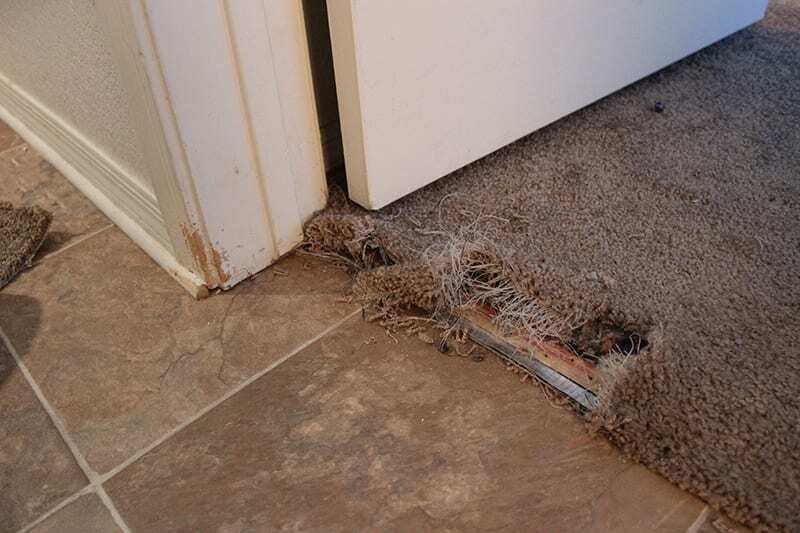 For residential customers, pet damage is by far the most common carpet repair services we provide. Dog lovers, cat-lovers—we at Mesa have our well-loved pets, too—Mesa Carpet Repair to the rescue for torn, ripped, and chewed carpet. 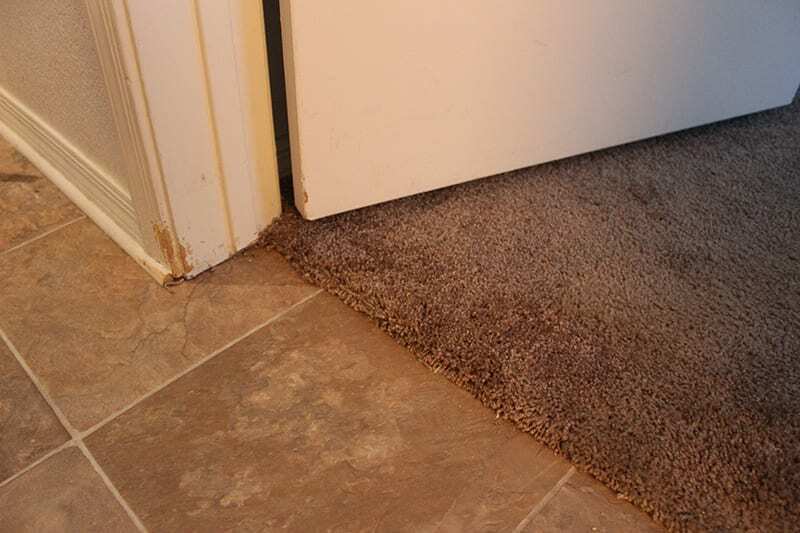 In most cases the damage is confined to a small area, often a doorway or carpet seam. We cut out the damaged piece of carpet and replace it with a piece of carpet that’s precision cut to match. Then we apply a carpet epoxy to the edges and permanently bond it into the carpet. In most cases no one but you even knows anything happened!